You searched for which does not fit your . We've redirected you to 153-962, which has the proper fitment. I bought these guardian bells for my fellow veteran riders for Christmas. They were a smash hit! Good quality, great price. 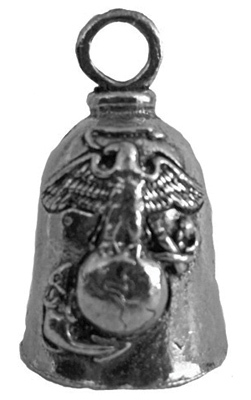 I purchased this bell for my twin bro who has a son in the marines. He was thrilled with the bell and the Marine theme. Great product,great price, and quick shipping! Thank you.